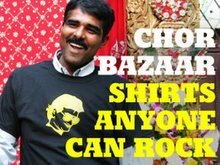 CHOR BAZAAR WORKSHOP: HAPPY DIWALI AND NEW YEAR 2064! HAPPY DIWALI AND NEW YEAR 2064! I bet you're feeling old now, but it is going to be the Year 2064 according to the Hindu Calendar. 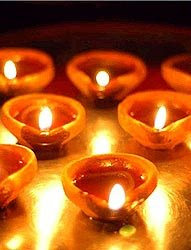 Divali, is a major Indian festival. Celebrated by Hindus, Jains and Sikhs across the globe, as the "Festival of Light," where the lights or lamps signify the up lighting of darkness and victory of good over the evil within. The day also commemorated the homecoming of King Rama of Ayodhya, after a 14-year exile in the forest, and thus the people of Ayodhya (the capital of his kingdom) welcomed him back by lighting up rows of lamps (deepa-wali), thus its name, Deepawali, or simply shortened as Divali. The celebrations focus on lights and lamps, particularly traditional dīpa or deeya (earthen lamp), and fireworks. Funny how religions focus on FIRE during auspicious holidays. Look at the Jewish Menorah and what would Christmas be without Candles? 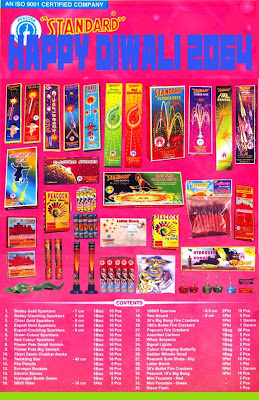 The one thing that Hindus, Jains and Sikhs got over everyone else are the Fireworks! They can really play with fire.